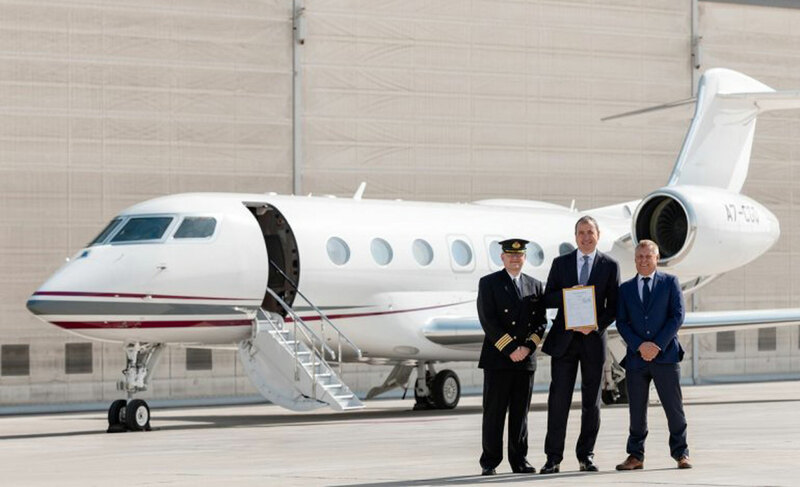 Qatar Executive has become the world’s first commercial service operator of the recently certified Gulfstream G500. After taking delivery of two Gulfstream G500s last month, Qatar Executive has become the world’s first commercial service operator of the recently certified twinjet, it announced today. Both of its new G500s received operations specification approval from Qatar Civil Aviation Authority, allowing them to begin commercial operations on January 14. Qatar Executive said the G500s are one of the fastest and most advanced jet types in its fleet, which also includes five G650ERs, three Bombardier Challenger 605s, four Global 5000s, and a Global XRS. Besides five more G500s, the operator will take delivery this year of another G650ER, for which it is already the largest commercial operator worldwide. According to Qatar, its G500s are outfitted with satcom and high-speed data connectivity, as well as the Oryx One entertainment system and Gulfstream’s cabin management system, which allows passengers to use their own personal electronic devices to control audio, video, lighting, temperature, window shades, and other cabin functions.